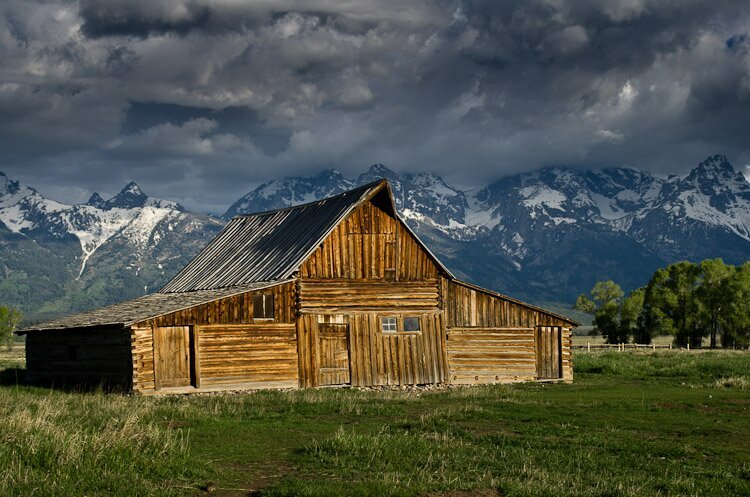 Mormon Row is a line of homestead complexes along the Jackson-Moran Road near the southeast corner of Grand Teton National Park, in the valley called Jackson Hole. The rural historic landscape's period of significance includes the construction of the Andy Chambers, T.A. Moulton and John Moulton farms from 1908 to the 1950s. And let’s not forget the ever memorable outhouse, which, as can be seen in the second photo below, is still in use!